According to final toxicology reports: Two dolphins in Switzerland died from a drug overdose. The dolphins died within five days of each other in November, after the area near their pool in the Connyland marine park had been rented out for a weekend rave, according to the reports. ” the Connyland marine park had been rented out for a weekend rave…” <-I think I know where things went wrong. Initial speculation surmised that the loud music stressed the dolphins, leading to a weakened immune system and eventually death. But an autopsy revealed that a heroin substitute was the real culprit. 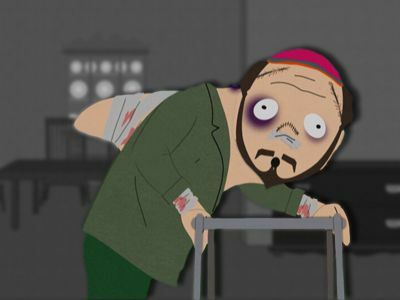 ^This man is part man part dolphin but I’m sure he can handle his drugs. Cornelis van Elk, a Dutch marine biologist, said the drugs had turned off a part of the dolphins’ brains which told them when to surface for air. Toxicology reports from a forensics institute in St. Gallen, Switzerland, were just released and show the two dolphins had buprenorphine, a heroin substitute, in their urine. Reports speculate that the substance may have been dumped in the tank during the rave, accidentally or as a practical joke. Connyland dolphin keeper Nadja Gasser, “We tried to hold him. He was shaking all over and was foaming at the mouth,” she said. Trainers worked unsuccessfully for an hour in an attempt to rescue the dolphin. Remember animals are people too…that don’t speak, live in our same habitat, eat the same way, we do, work, read and now we know they CAN’T HANDLE DRUGS the way we do. What’s The Deal With Bath Salts?